Click here for our location and schedule. Click here for a list of women's mikvahs in our area. Click here for a list of where to find kosher groceries and specialty items. 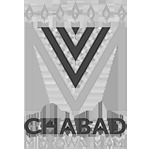 Click here for a list of some of the kosher restaurants in the Miami area.